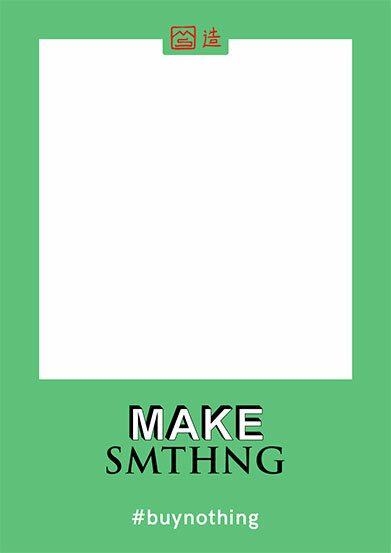 MAKE SMTHNG has been created for all of you who see yourselves as makers of a better world. If your mission is to be more resourceful to protect our beautiful Earth, this branding is for you. It breathes the DIY spirit, fun and creativity that we need to reinvent the way we produce and consume. 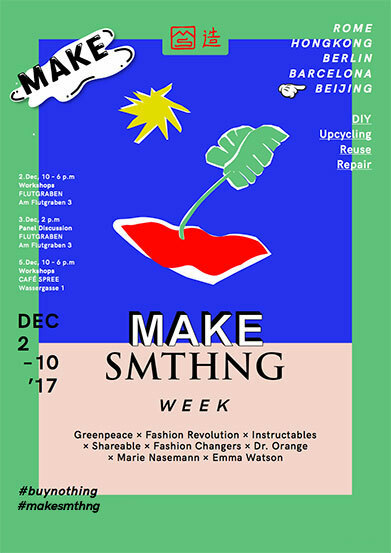 MAKE SMTHNG is your showcase for creative, innovative and unique alternatives. Instead of shopping, let’s MAKE SMTHNG! Made for the movement: We want you to use and adapt it to showcase your ideas, events, creations and faces to the world, no matter what your topic or campaign needs. Connect with others under this joint umbrella that represents and empowers our makers movement! Allows joint branding for collaboration: The branding offers a joint branding solution so you can partner up with many people and organizations without creating a mess of logos. Flexible, to enable your creativity: Many templates are downloadable and adaptable to a wide range of topics, campaigns and event types, and can be used by organizations, networks, communities and individuals alike. MAKE SMTHNG represents creativity, resourcefulness, inventiveness, community and sharing. We want to reduce shopping for new stuff by sharing, caring, transforming and repairing what we own – while keeping it fun, beautiful and forward thinking. As this branding is free for everyone, we trust you to use it in this spirit. Don’t sell: We kindly ask you not to use it for selling any products, as this would contradict our message. 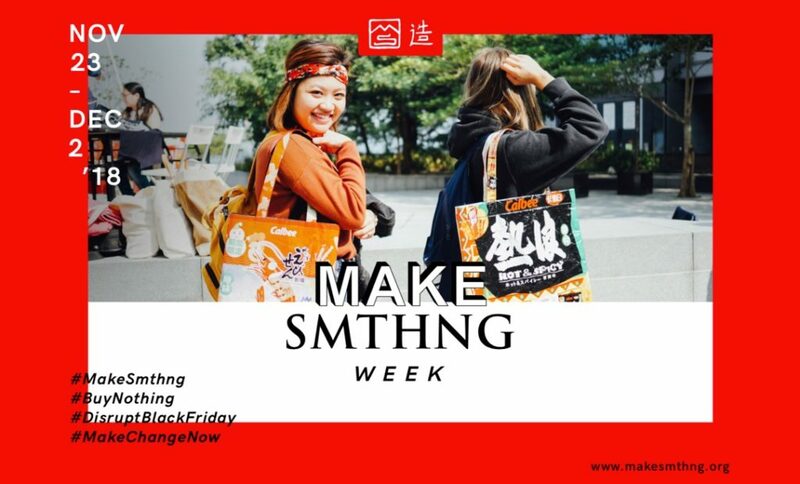 If you are a small business or entrepreneur, we trust you that you will use our MAKE SMTHNG branding to showcase your philosophy or skills rather than your products. Be truthful and responsible: We are all makers in the spirit of reducing our impact on the world. So if what you make is harming people or the Earth – this brand is not for you. Here are some general guidelines on our branding. If you are interested in a more advanced design manual, you can download the PDF here. For easy recognition, all our outputs are branded, either with both our logo and signature at the top and bottom of our designs, or only the signature. 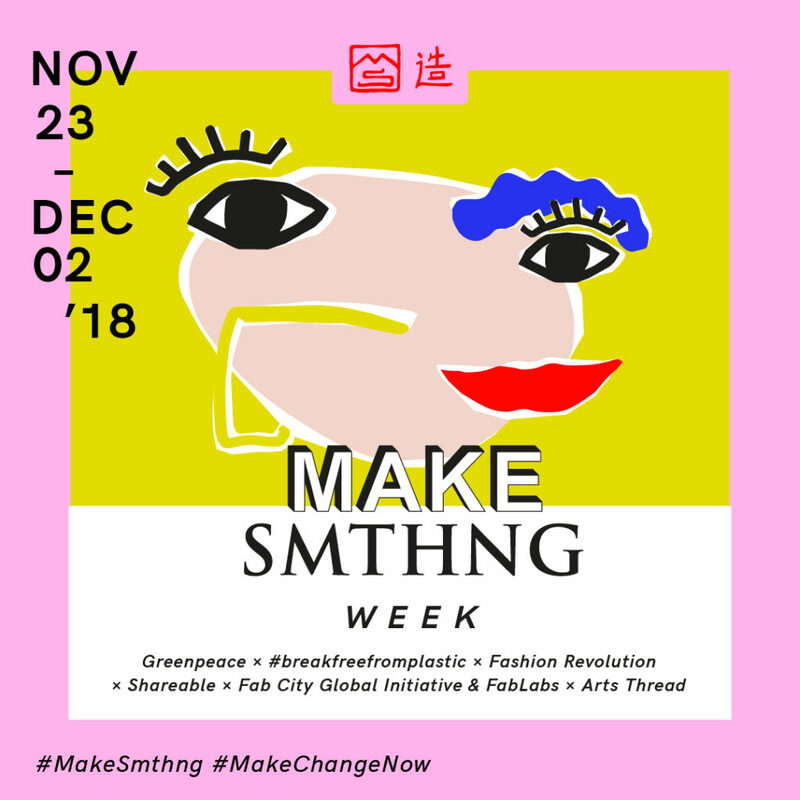 Our movement is named MAKE SMTHNG, emphasizing the making of a more sustainable world. Our signature represents a stylized MS for MAKE SMTHNG and the chinese character for “handmade”. For simplicity, only one typeface is used for both logo and text, the free font HK Grotesk, in 4 styles: medium, medium italic, bold and bold italic. For more guidance on how to use the font, check here. MAKE SMTHNG gets it characteristic design from its highly customizable key visual, consisting of shapes that you can re-arrange yourself in a unique way. Both key visual and patches allow you to visualize your ideas and plans. From fashion pieces to furniture to toys – we are excited to see what you come up with! All our templates can be used with your preferred colour combinations – you can choose any combination of the colours below. You want to use the MAKE SMTHNG design for your movement? We designed templates for you to use for many occasions – from social media post and headers, posters to fun accessories for your event – we got you covered. Follow the respective links to download specific templates or click here to download our design package. Source files (IDD/AI, PSD, JPGs) – customize those with your own key visual, copy, photos and ideas. Download them and you are prepared for everything. Ready to post – specific posts like “Save the date”-Posts, Calls to actions, our best of Instagram Content, and many more. Bookmark this link and return often – this folder will be updated regularly. Contact the press, your partners and supporters with professionally branded materials. Please check our ready made materials on organizing events, press and fundraising or use our text templates to create your own.